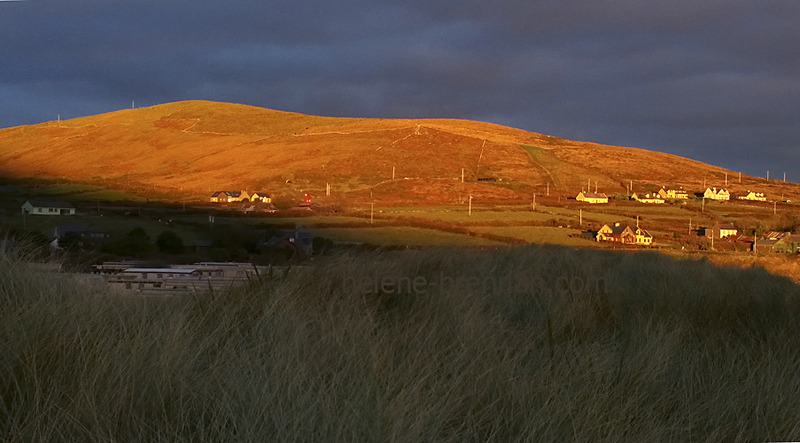 As the sun prepares to set behind Mount Eagle, the golden light turns red and casts this fiery glow over Ventry. Unframed, no mount (mat), for easy posting. Framing available if picture collected. Different size available. Please enquire.